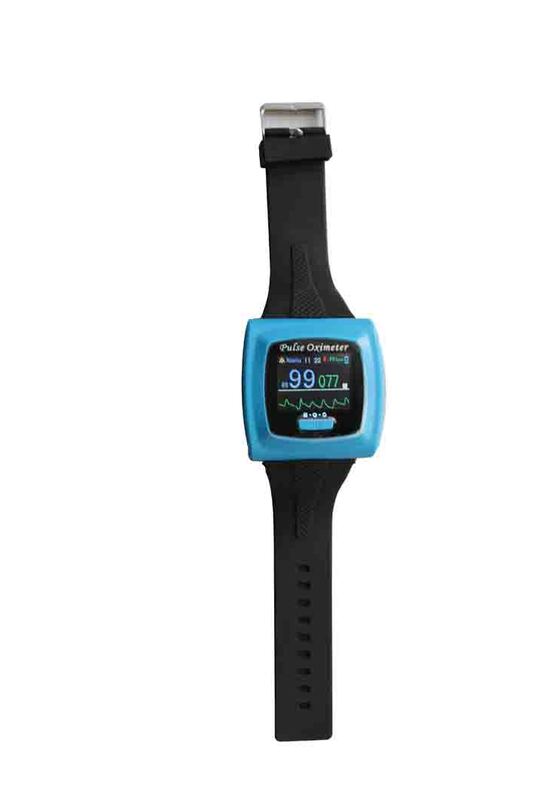 This Wristband Pulse Oximeter TORONTEK-B400 can be worn comfortably on the patient’s wrist for easy spot-check of blood oxygen saturation and pulse rate. 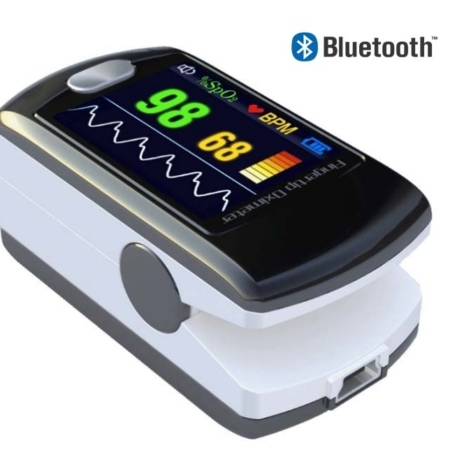 It can be used for monitoring daily activities and overnight sleep studies. The compact design is intended to give the patient great freedom while improving patient compliance. 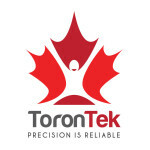 Torontek-B400 is the best device in the market ideal for Doctors, Home Health Care, Clinics, Hospitals. The device works with a built-in rechargeable battery and can also connect to a computer to transfer data to your computer enabling further analysis. 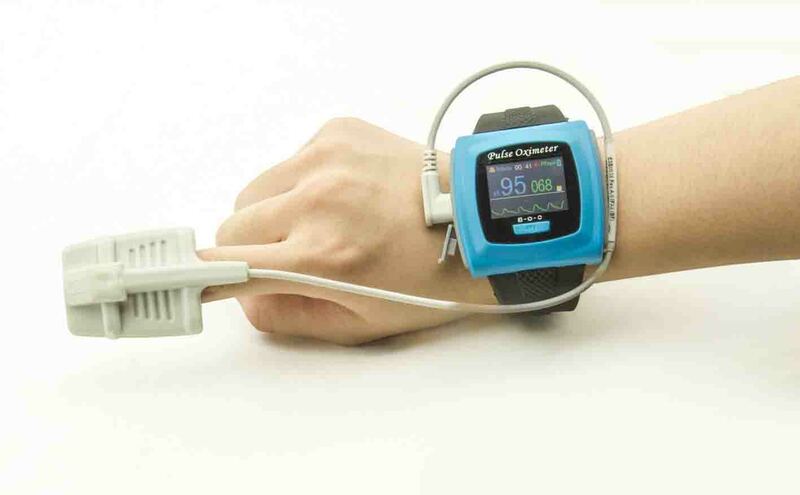 Connecting with USB connector this Wristband Pulse Oximeter can record the data and transfer it to your computer, then you can analyze it. Deviation is smaller than ±1% between value of Oxyhemoglobin measured in natural lighting indoor condition and present lighting sources and that measured in a dark room. 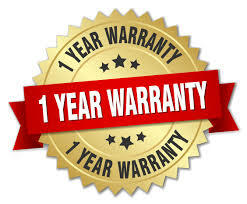 The package for this includes a CD with the product software. Download the User Manual by clicking here. Download the Software Instructions by clicking here. téléchargez l’instruction du logiciel en cliquant ici. 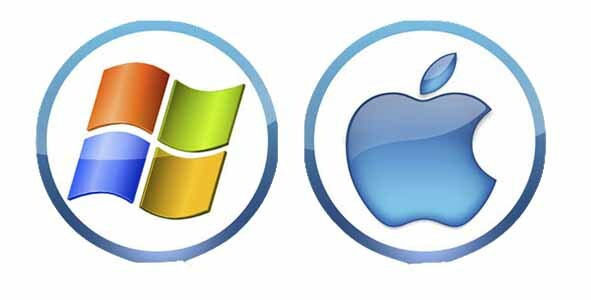 WINDOWS operated PCs: ENGLISH- For French Scroll down. 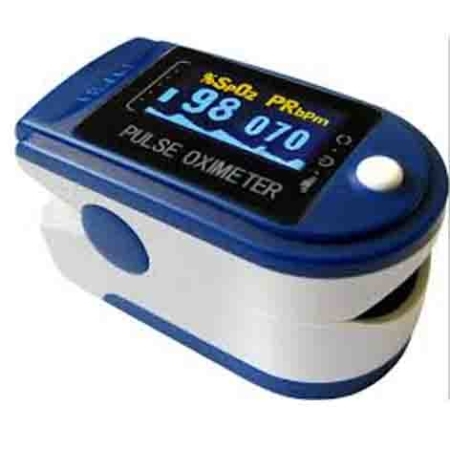 Great product- I use this device to measure my oxygen level over night. 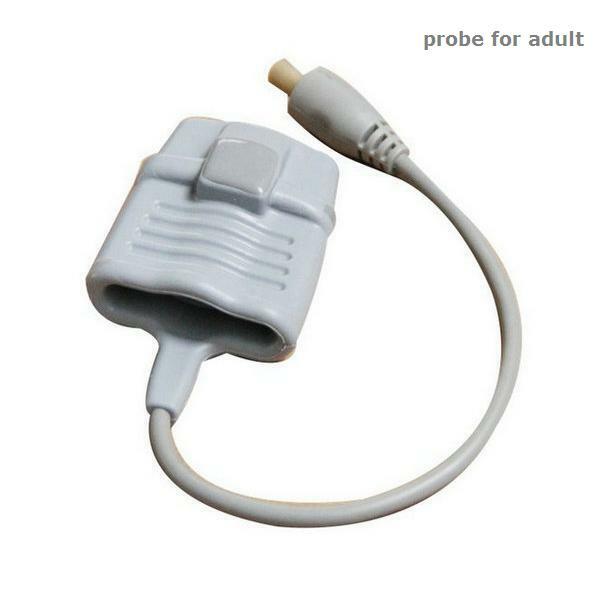 I flip around in bed and I appreciate the fact that the probe of the device doesn’t fall off. We use this device in our dentistry practice during the procedures. the alarm is ready handy. I purchased this device for my husband. He has oxygen drop over night. We connect this device and we can set the alarm to sound when oxygen falls below 85. Is the best we have found in the market. Was recommended by his sleep therapist. Thank you for the opportunity to comment. 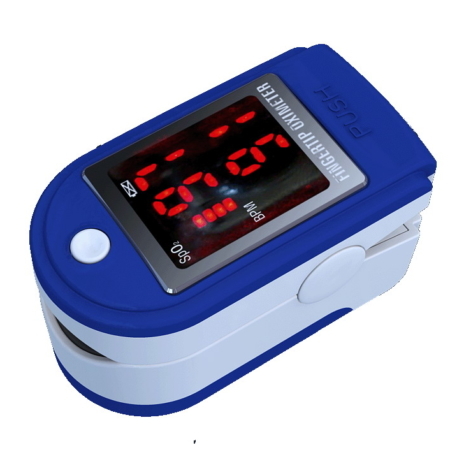 I purchased the ToronTek-B40 Oximeter to determine if I was getting enough oxygen in my blood. 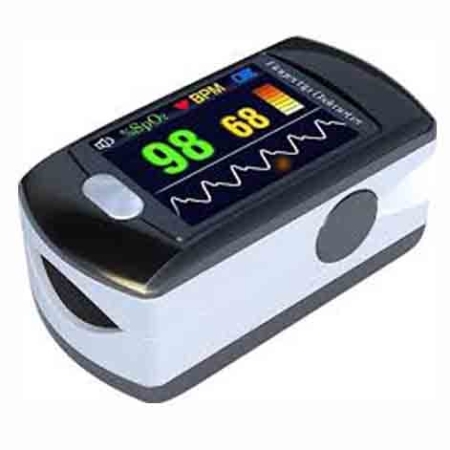 The pulse meter was an added feature that added value. I was so pleased with the device, I purchased an addition oximeter for someone else. My intention for providing the device was for meditation for anxiety issues. I figured the reasonably accurate measurement was a good visual aid in determining whether or not inducing quiet and stillness for a few minutes would help. Sure beats using medication. I am pleased with the device. I no longer have to assume I am sufficiently oxygenated. The price point is fine. The quality is good. The visuals are easily read. The device is light and comfortable. I am pleased I purchased your product. was very happy with the delivery. The price point is what made me take a chance on the product. I already use a heart rate monitor for exercise and it confirmed both units to give very similar numbers when at rest. I was able to learn a bit about my sleep patterns and am generally happy overall about the unit. But my hope was to confirm/dismiss if I had sleep apnea. I often wake up with migraines. But just a simple test of holding my breath for 60 seconds would show my oxygen level of 95 go up for 30 seconds then maybe as low as 88/90 after the minute. My sleep numbers would show very few events of ever dropping below 90 or even 92 thru my sleeping hours. So the data from this unit is inconclusive to help me diagnose sleep apnea. A little research online seems to point to needing a sensor with an extra coloured laser to be sensitive enough to better detect such an event. At this time it seems these are only available in much more expensive units. I would definitely be interested in such a unit even at double the price of the B400. The merits of a doctor supervised sleep study seem mixed by people who have tried to get to sleep while hooked up to a bunch of wires in a clinical environment. I don’t usually respond to e-mails like this, but because this product is so good, I am. When I first got my oximeter, I took it with me to see my respirologist. We compared mine with his and mine was dead on with his. My doctor was also impressed with the finger monitor. He liked the idea much better than the clip on type. I bought a second one for convenience, and I plan to buy another for my sister in Ottawa. Bottom line, I love this product. The oximeters sold in drug stores and medical supply stores are useless. Not this one, it’s great. And the price is great as well. Thank you for your excellent service. Although I had received the wrong package it was quickly corrected by sending me the product I ordered and a label to return the product I received. 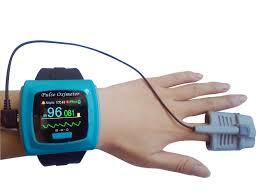 I am very pleased with the oximeter I purchased from your company! Everything was great! The customer service, receiving etc were all great! Thank you for the great product and all the service! I bought this because it had an alarm. I have a paralysed diaphragm and need a BiPAP to sleep. If ever I had to sleep without my BiPAP, I wanted something to alarm me when my saturation drops. The only thing I would say negative… (well not really negative) about the product is the rubber strap. I use a cut off sock under it as sometimes it has a tendency to cut off circulation moving around while I sleep when I do sleep studies. 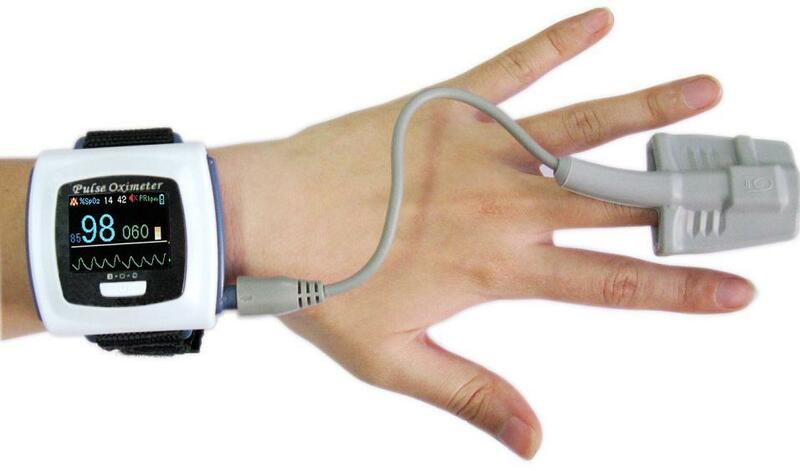 It is very good for exercise, monitoring and recording stats. The ordering process was fairly straight forward and Canada Post had it here within 3 days, so that was okay too. I did recommend this product to my Respiratory tech and family doctor as well as other patients who share the same neuromuscular disease as I do. I’m very pleased with it and your service is excellent. The ordering and receiving was perfect. 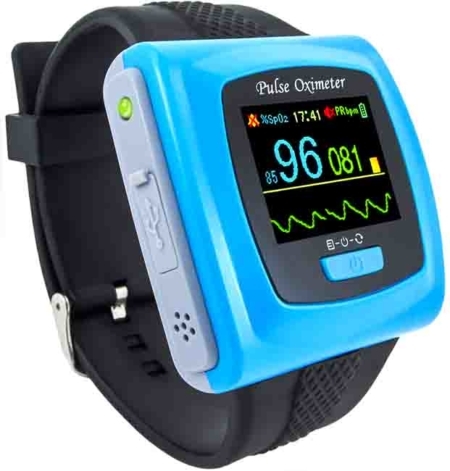 I’ve used the oximeter for overnight studies and it seemed to work very well. There are no major events recorded during the night. However, I’ve worn the device during the day while doing everyday activities. With the device on my middle finger, I noticed it would go into alarm (oxygen saturation below 88) quite predictably when at the computer and lowering my hand to rest on my chair (as opposed to at the keyboard). I haven’t yet figured out what is happening at this point, but it seems that if my hands are held low (for example, while standing or walking with my hands down on my sides) it makes it seem like I go into low oxygen saturation. NOTE: I may have a circulation issue, my hands do get super cold at times, so this may come into play.